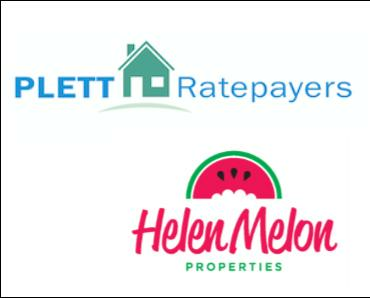 You are here: Helen Melon Properties Latest News What's happening in Plettenberg Bay Join the Plett Ratepayers Association now to help combat irregular expenditure in Bitou. It is now more than ever that Plettonians need to support this Association. Please bring to your family and friends attention the work that this Association is engaged in. Encourage them to become members and donate to the call to fight corruption and uncontrolled expenditure. The Plettenberg Bay Ratepayers Association has raised the following issues with the draft 2017/18 Bitou Annual Report that has been published for public comment. Performance bonuses doubled from R348,738 to R630,539! This despite the annual report reflecting a near collapse of credit control and a decline in the delivery of basic municipal services. Expenditure of almost R1m on catering services, R346,000 on Entertainment and a whopping R1.796m on Events and Festivals. In terms of applicable National Treasury guidelines municipalities must avoid this type of expenditure. Bursaries at R437,218. This is not a municipal function, but apart from that there is no accounting as to the application of the funds and the benefits accruing to the municipality therefrom. There is no account of how many people received bursaries, in what amounts and most importantly, what the study fields were and what benefit to the municipality is envisaged. Congress/seminars attended by councilors and municipal employees quadrupled from R450,000 to R1,736,000. In terms of applicable National Treasury guidelines municipalities must avoid this type of expenditure. Fuel costs increased from R1.2m in 2015/16 to R4.2m in 2016/17, and then to R7.3m in 2017/18, adding up to a massive 508% over three financial years! The average diesel price increased from R10.30 in 2015/16 to R10.96 in 2016/17 and to R12.06 in 2017/18. A total increase over the three-year span of 17%. This is not just a cause for concern, it is a call to action and every councillor and senior official should be jumping up and down trying to get to the bottom of this. Yet, there is no explanation whatsoever to account for this in the annual report. Legal expenses are not listed in this annual report. In the two former years they increased by 189% from R1.9m to R5.5m. That enormous increase was not accounted for at the time and one cannot help but wonder why it has been concealed this year. The latest adjustment budget shows that legal fees are expected to amount to R 8.2m in 2018/19. That foreshadows an increase of 330% in just 4 years against an inflation rate of just 6% per annum. Hire of vehicles increased from R 767 000 (less than R1m) in 2016/17 to R8.5m in 2017/18. That is an increase of 1008%. Once again this is not explained or accounted for in any way in the annual report. The cost of Learnerships and Internships stands at R8.8 million! If an intern is paid an estimated R100,000 pa, which would be generous, that means Bitou funded 880 learners and interns last year! Considering Bitou have 560 municipal employees, that means that on average, each and every employee is teaching 1.6 others. It is reported that the entire Western Cape spent a total of R31m for this purpose. Postage increased by 525% from R51,000 to R815,000! Irregular Expenditure amounted to R16.7m. Over the same period the Western Cape Government's total irregular expenditure was R44m on a budget that makes Bitou Municipality's budget pale into insignificance.